I love Goo Hye Sun so much! She is so awesome. Oh my...I just watched ep. 4 ad I am officially in love with Kim Bum and the guy that plays Goo Joon Pyo <3! ahhhh excited for ep 5! So at first a whole bunch of people have been badgering me about "Boys Over Flowers", they've been like "OMG HAVE YOU SEEN THAT NEW DRAMA YET?" and I hadn't until yesterday since I decided why not, I have nothing else to do. But wow. It has me hooked beyond explanation. At first I was a bit iffy on hearing that Lee Minho was the casting for Domoji (Joonpyo) but he fits the role pretty well. I was a bit disappointed in the developing of the scenes since they don't go more into depth then I think they should have. I mean, if you've read the manga then you pretty much know what's going on but if you didn't then it's all more of a blur really. I also think that Goo Hyesun's role as Makino (Jandi) is a bit overexaggerated and doesn't quiite fit the role to the T but it's better than what I would've expected. and and and, Kim Bum basically has me head over heels in love with him, LOL! why virvir111 got banned ??? 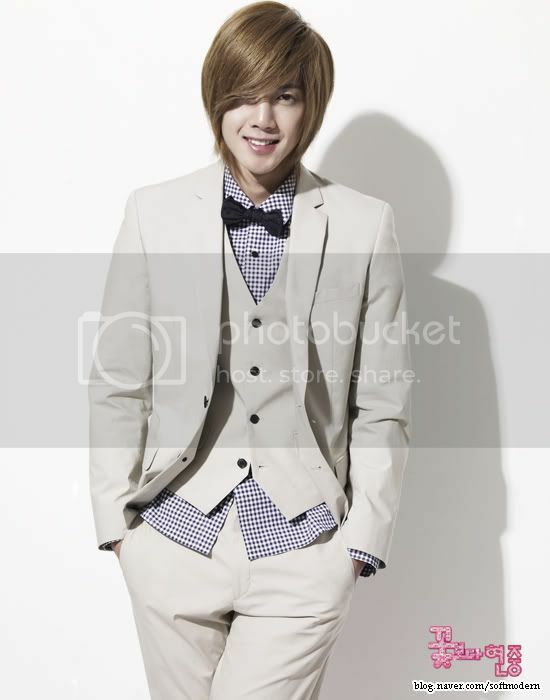 Kim Hyun Joong's hair is just awlful in the pics above. He needs a hair cut or they need to move the hair from in front of half his face. I know it's for the drama but it really doesn't suit his face. The hair style almost completely hide his handsome face especially when he is looking down. ^ really? well for me that one's better than the previous one. why use the word 'awful' ? sheesh. I actually like his hair. A lot. Can't wait for episode 5.
woah those are amazing photos of him! 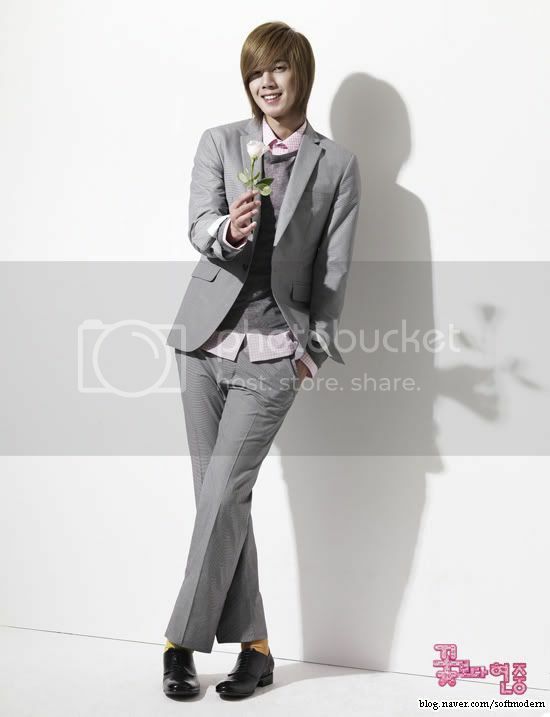 for a sec, i thought he was ogurin..
cuz i've seen ogurin wearing the same color shoot..
scaryy yet crazyy hanazawa rui! He looks AMAZING in the photo shoot. Nobody sod ever use the word awful if a setence when ur descrbing hyun 8)!! I preferd his hair near the begng of wgm. orrrrrrr u cod say in the de ja vu days. I'm not sure who is translating this into English...but I wanted to say THANK YOU THANK YOU THANK YOU. The speed at which you all are loading this up is unbelievable. I have enjoyed watching this series (especially Jandi's character) and it is even better because I am able to understand what is being said. Please post in the official topic in the k-drama forum please.